Gemma Cleanslate has been very busy behind the scenes at the Burn2 festival. But she finally found time to write something. Today, she reports on the Burn2 temple. 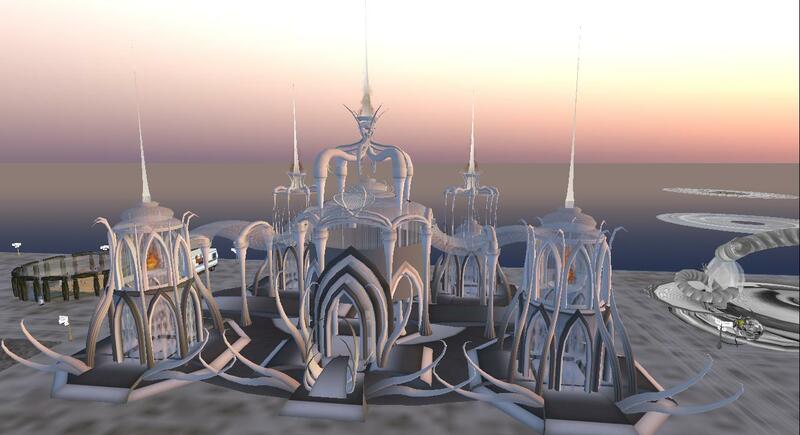 Built by SL artist & jeweler Damanious Theta, the temple itself is a work of art, symbolizing the themes of the burn. But as a structure, it is temporary. All are invited to see it before Sunday when the temple burn takes place.